We were happy to partner with The Running Powerlifter for this Versatile and Healthy Ground Beef recipe! The best part about this meal? It’s so easy! I mean, c’mon… what’s better than a delicious and easy to prepare meal?! However, my fiance and I have learned something interesting about the star ingredient in our favorite meal, the beef: the type of beef we use – grass fed versus grain fed – makes a HUGE difference! Unfortunately, I found this out the hard way due to digestive issues I would experience after eating grain-fed beef. A friend suggested trying grass-fed beef instead and wow it made a world of a difference! Not only does grass-fed beef digest better, it has way more vitamins and is packed full of those omega-3 healthy fats compared to its grain-fed alternative. Plus, buying grass-fed beef is actually even better for the environment and supports more humane practices of raising cows. 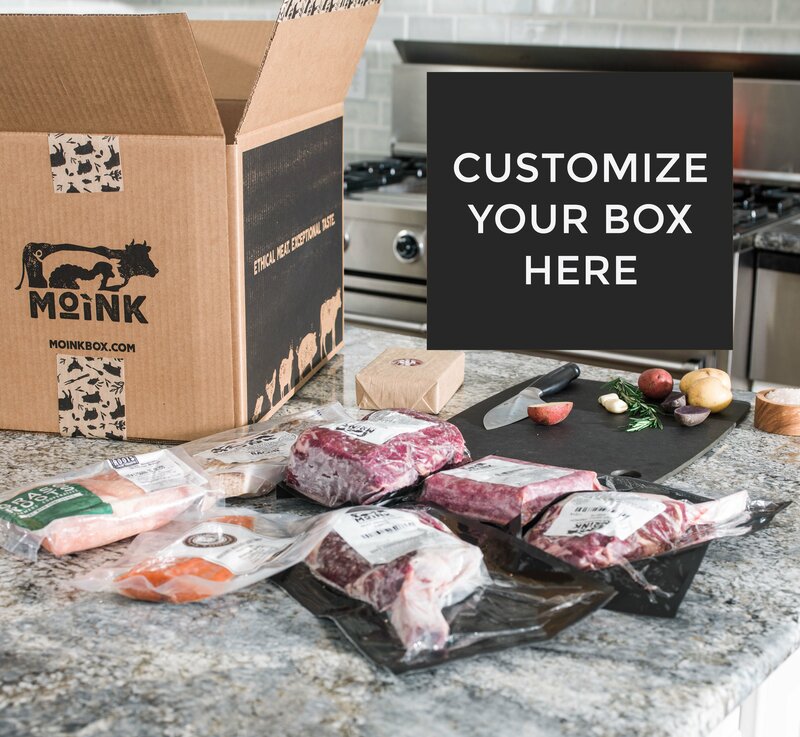 That’s one of the many reasons I love using Moink – all of their meats are ethically sourced and humanely raised, including their grass-fed beef. Plus, it’s delivered right to your door! Basically, this service is for any tender-hearted carnivores that like convenience. Now, let’s get to that easy, peasy recipe! Again, this is a simple recipe, but that’s the beauty of it – you can use it in so many ways & combinations. For example: with jasmine rice & zucchini (favorite! ), as the beef in your spaghetti sauce, or even in a yummy sub sandwich with cheese!